Since 1624 A.D., the Samaritan High Priesthood is usually determined according to age. The oldest priest in the priestly family becomes the High Priest, whose residence is on the Mountain of Blessing. This system of election leaves no place for personal competition for this position among the priestly family of the Samaritans. Holding the claim that the High Priest is elected from heaven. High Priest Shalom fell gravely ill last year with a cancer disease from which he did not recover. He was rushed into Sheba hospital where his death was pronounced on Monday, February 9, 2004. At the same day at 3 p.m., he was brought to burial in the cemetery of Kiriat Luza on Mount Gerizim. Hundreds of friends and acquaintances accompanied him for the last time. The Palestinian Governor of Nablus mourned him with warm words of appreciation. The Israeli governor of Nablus, lieutenant colonel Raid Fares was also present. The President of the State of Israel, the Israeli Prime Minister, the Chairman of the Palestinian Authority, the Israeli Foreign Minister and Deputy Prime Minister and the Chairman of the Palestinian Legislative Council sent telegrams extending their deepest sympathy to the new High Priest. Hundreds of calls and condolence messages were received at the Chambers of the new High Priest and at the A.B. – Institute of Samaritan Studies from people from all walks of life and from friends abroad. Dozens of dignitaries from Nablus sent condolence gifts to the family of the deceased. The late High Priest was succeeded by his cousin, the 77 years old priest Elazar b. Tsedaka b. Yitzhaq. The new High Priest is a prominent scholar in the community, a poet, and an expert in the calculation of the Samaritan yearly calendar. He was born in Nablus/Samaria in 1927. 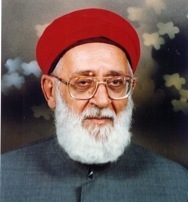 He had been a high school teacher of mathematics for many years in Nablus and after his retirement devoted himself to matters of the priesthood, literature and research. High Priest Elazar participated in research delegations on Samaritan manuscripts in St. Petersburg in 1991 and in political issues to Washington D.C. in 1995. He regularly contributes to the A.B. Samaritan News bi-weekly and is also known in the sphere of Samaritan research. In 2000 he lectured in the fifth Congress for Samaritan Studies in Helsinki, Finland.